The biggest story of our history has begun. Only the story of our genesis is as significant. We are the players in this story. No one is left out. It is the story of a new world being born, but not around us. This new world is being born in us. Millions of us are becoming aware of ourselves as more than we thought, our lives as more than random, and the Universe as living, wise, and compassionate. There were rumors about these things in the old world – but they were mostly debated by believers, theologians, and theoreticians. Now we are beginning to experience them ourselves. Our expanding awareness is bringing with it new values – such as harmony, cooperation, sharing, and reverence for Life – and they conflict directly with the world of discord, competition, hoarding, and exploitation in which we are waking. How can we create harmony, cooperation, sharing, and reverence for Life in a world in which life is a cheap commodity? That is the questions millions of us now face. It is a question for each of us to answer for ourselves. What we choose inside affects the world outside, and nothing else can. Our expanding awareness gives us this new perception. We do not need to debate it or believe it. Our internal experiences are primary, and with this knowledge we can make changes where they matter most, where we have leverage, where we can create permanent change – in ourselves. Then, like Gandhi (“Be the change you want to see”) and Martin Luther King, Jr., we can create a world that is really different, new, and magnificent. This takes work, and the work begins in you. The Seat of the Soul Institute supports you in doing this work of all works, making this change of all changes, and bringing into being this creation of creations. We are grateful to be in this story with you. Authentic power is the real deal. You can’t inherit it, buy it, or win it. You also can’t lose it. You don’t need to build your body, reputation, wealth, or charisma to get it. None of that can help you when it comes to creating authentic power. Anyone can become authentically powerful. Even a rock star or the President of the United States can become authentically powerful, although just being a rock star or President is no guarantee of authentic power. The only way to become authentically powerful is to create authentic power. You cannot wish, want, or command authentic power into your life, although you can try. Wishing, wanting, and commanding don’t give you any traction when it comes to creating authentic power. Creating authentic power requires commitment, courage, and discipline that far exceed those of a professional athlete or accomplished artist. The skills that athletics and art – or any other profession – require are limited in usefulness to athletics, art, or the profession. The skills that are required to create authentic power can be used in every circumstance, every situation, with every person. They are 1) the ability to distinguish within yourself the difference between love and fear, and 2) choosing love all the time no matter what is happening inside you or outside you. When the pain of anger, guilt, loss, grief, resentment, fear, jealousy or rage stab, throb, ache, and tear at you, that is the time to create authentic power by not acting on it. When chaos, dissolution, dysfunction, or violence surround you, that is the time to create authentic power by not reacting to it. You decide what you will say and do, not your internal or external circumstances. You choose to be patient when impatience roars through you, silent when you want to shout, listen when you feel compelled to speak. You choose the healthiest intentions and actions you can reach for, no matter what. Like an accomplished athlete or professional, your performances are dazzling, but only you see them. They are not to manipulate or control others, not to vanquish, gain, impress, or win the prize. They are to stand on the ground of your own sanity and humanity, no matter what. This is the real deal. Are you interested? 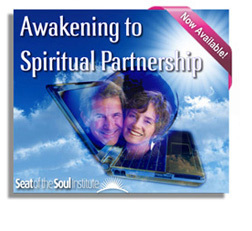 We cordially invite you to enroll in our new Seven-Chapter, media-rich, online course, AWAKENING TO SPIRITUAL PARTNERSHIP, with videos, animations, meditations, SoulLog to answer interactive questions, and membership in an online Spiritual Partnership Community. It is almost like being with Gary, Linda, and fellow students, and you can retake it as many times as you want. Visit this coupon code link for the special Oprah.com 33% discount code by April 15th. We want to share this course with you. Take an in-depth transformational voyage into the deepest, most wholesome, and refreshing sources of meaning and purpose in your Life. Begin to truly understand your emotions, intentions, and choices. Activate your deep intuition. Early bird discount prices end April 1st. 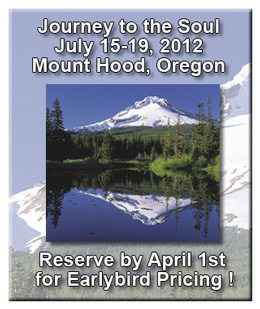 Visit our Journey to the Soul 2012 page for additional information. I am writing this on St. Patrick’s Day, March 17, 2012, remembering a St. Patrick’s day twenty-one years ago, on March 17, 1991, that would change my life. On impulse I went to a poetry reading with music in a private home in the San Francisco Bay Area, where I was living. 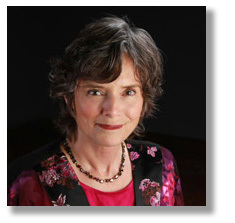 As soon as the poet and musician began, I knew something unusual was happening to me. I started crying, and I couldn't stop all evening. I didn’t feel sad but I was confused, and felt that my heart was opening. When I learned that they came from a place called Mt. Shasta, California, I knew that I had to go there. They hosted a retreat the following summer on Mt. Shasta, and I eagerly signed up for it. I went to that retreat and for the next two years I returned to Mt. Shasta again and again. I did not understand what my attraction to Mt. Shasta was about. Year after year I asked for guidance to help me understand it. The third summer I went to another retreat at Mt. Shasta (yes, hosted by the same couple), in order to resolve for myself whether I would move there. That was where I met Gary Zukav. I had read Gary’s first book, The Dancing Wu Li Masters. It was so impactful to me that when I saw his name on another book, The Seat of the Soul, ten years later, I bought it immediately. WOW!! I was so moved. Then I met him at the retreat. I felt so inferior after reading these magnificent books, but more than that was happening. I didn’t know why, but I felt a connection with him, and I also knew that for that connection to happen, I needed to heal the part of myself that felt inferior not only to him but also to so many others. It was beginning of a journey for me into more conscious choices, in this case, the choice not to act in the way I had in the past when my feelings of inferiority were active. Gary had his challenges, too, but the thing I learned along the way is that we are creating the life we are sharing with our choices. I chose to hear the poet and the musician. I chose to pay attention to my deep emotional experiences at their gathering, to go to Mt. 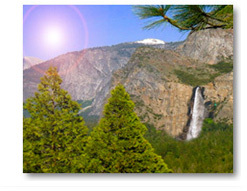 Shasta, to return repeatedly, and to attend the retreat where I met Gary. I chose to pay attention to what I realized when I met Gary, and I chose to focus my awareness and all my will on challenging a part of my personality that had kept me from my potential all my life. Choice after choice, I and Gary brought a reality into being that would otherwise have remained a potential. I am grateful for my choices and the close attention I gave to them. I am grateful for the intuition that led me, one step at a time, on a journey that is still continuing. "How you feel about yourself is more than a private internal matter. It determines how you are with others and, ultimately, how you are with the Universe."